“I’ll give any of these guys a run for their money”. 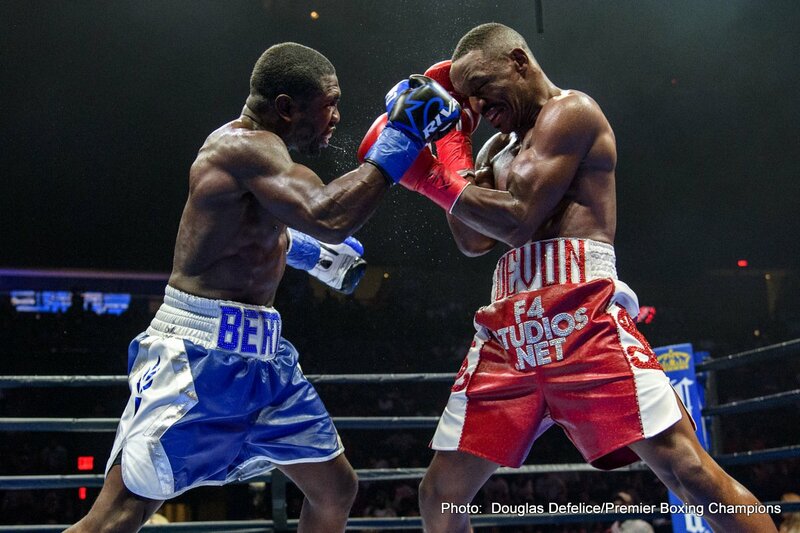 Former champ Andre Berto got himself and his career back in the win column this past Saturday night courtesy of his close decision win over fellow former champ and veteran Devon Alexander. Berto, who hits age 35 in a few weeks, was proud of his win, his performance, stating afterwards how it proves he still has the “dog” in him. But what next for the man who was, once upon a time, seemingly set for greatness? Berto shows no signs of retiring any time soon and the career-reviving win over Alexander has convinced him how he is still a force with a future. Berto is eyeing a big fight for the future. Speaking with Premiere Boxing Champions, Berto said he has enough to be able to “give any of these guys a run for their money,” and he also said that if the fight were made, he would “not back down” from Errol Spence. The current welterweight division is crammed full of talent, both young and old. We have Spence, Terence Crawford and Shawn Porter (who stopped Berto in Andre’s last fight prior to the Alexander return) and Danny Garcia, while at veteran level we have Manny Pacquiao and Berto. Does Berto have any shot at reigning as a world champion again? Spence seems to have bigger fish to fry (or maybe a smaller fish if he fights lightweight king Mikey Garcia next as has been seriously spoken of) and with all due respect to Berto, why would the IBF welterweight king face him? Berto is still a pretty big name as he says, but the top champions, the young guys, all seem to have other fights to take care of. Maybe a Pacquiao-Berto fight would sell, but that aside, it’s tough to see Berto, 32-5(24) getting himself another world title shot, much less winning another major belt. You are here: Home / Boxing News / How Much Has Andre Berto Got Left?